Many independent software vendors have yet to get to grips with the cloud and mobile, let alone the internet of things and big data, says Billy MacInnes. from his company's recent survey of the independent software vendor (ISV) market. "Perhaps the most interesting statistic was that 75% of ISVs were still just concentrating on traditional applications that improve current processes, rather than on developing applications that enabled new ways of working," he wrote. Howard was surprised at how few were working actively in areas such as the internet of things and IBM's Smarter Planet, but acknowledged that it may have had something to do with the fact that most of those surveyed were in the UK and the ISVs may have been "behind the curve". Howard suggested this reflected a sector that was "perhaps not as fast-moving as some others", describing cloud and mobile as "obviously important" but almost passé. However, he noted that big data and the internet of things reflected "life on the bleeding edge and ISVs don't tend to cater for this constituency". What is less understood and more dangerous for ISVs are the changes required in other areas of the business. It emerged that a lot of them were not catering for the passé cloud constituency either, with only 50% of ISVs saying they had a cloud strategy. The bulk of those that didn't have one said it was because they "felt there was no business case for cloud deployment". Leaving aside the opportunities presented by big data and the internet of things, there does appear to be a consensus that cloud and mobile are strong areas for ISVs to concentrate on, even if opinion is divided over how they get there. Research company Saugatuck published a 20-page research report in October last year, titled Transitioning to Cloud Business: Best Practices for ISVs, which indicated that many understood the technical aspects of the cloud transition. 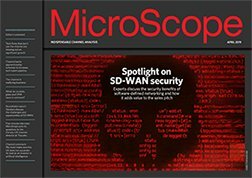 But the report's author, Saugatuck vice-president and distinguished analyst Mike West, warned: "What is less understood and more dangerous for ISVs are the changes required in other areas of the business that are typically much deeper and harder to execute, and often entail much more risk." In a blog published in April this year, Robert Bates, head of the manufacturing solution, strategy and architecture group at Wipro Technologies, wrote that most ISVs were probably considering the obvious move of migrating their current or brand new systems to the cloud. But he said this could "create pressures akin to a product sold at the local store down the street [being] moved into a multinational retailer with store fronts in every country". Bates added that ISVs had "had their world turned upside down over the past five years as standard consumption models of pay per seat, or pay per compute, have been expanded into micro-transactions, ambient commerce, and utility integration in service stacks". Mark Armstrong, EMEA vice-president and managing director at Progress, believes the independent software vendor market is "at a similar crossroads to the one it faced in the mid- to late 1990s, when faced with the new age of web-based services and applications". He adds: "What we are seeing is a split between two distinct groups. There are existing ISVs with established customers, infrastructure and frameworks already in place, and also newer, younger entrants to the market capable of offering more niche, agile solutions." Armstrong predicts that the demand for rapid, agile application development will increase and, as a result, ISVs are starting to work with a "broader range of organisations and performing a wider range of functions". Newer ISVs are also looking beyond the enterprise to SMEs that don't have the time to develop their own applications. "Today's (and tomorrow's) ISVs will be capable of supplying to a broader range of customers because the cloud does not consider whether the ISV is capable of working with a large enterprise, but just that the application solves a problem," he adds. Traditional ISVs are developing cloud and mobile strategies, says Armstrong, but "new ISVs are offering niche applications to the market, and the customers and users of the ISV and CIO, respectively, are consuming them as fast as they become available". Jeff Williams, global account management and channel partner management at SafeNet, picks up on Armstrong's point about consumption. "Consumers want to consume based on their preferred features, preferred usage times or just based on their personal needs," he says. But to adapt to their customers' changing needs, ISVs "have to move away from their core development excellence and allocate valuable resources to catching up with licensing solutions, entitlement and packaging solutions, all of which are not their core USP", says Williams. In addition, a fundamental shift is taking place in how applications are delivered and maintained. "Licensed on-premise solutions are being replaced by software-as-a-service (SaaS) applications," says Williams. "As a result, ISVs are faced with the challenge of adapting offerings to run in the cloud and in a virtual environment, including not only resources and technology, but also licensing models that appropriately monetise SaaS applications." Williams believes many ISVs and developers "are struggling to figure out how they can compete in a market that is increasingly becoming more cloud-centric". The move to cloud is very different from what they are used to, he says. "Typically, they have made long-term investments in applications that are deployed on-premise and therefore were not originally developed to be offered as a service." This is an issue highlighted by Saugatuck's research, which considered the difficulties facing established ISVs with legacy, on-premise software businesses to manage, and said: "Retaining customers and cash flow while launching a new cloud business can mean striking a delicate and shifting balance in managing resources." ISVs needed to have a plan to manage the transition from legacy on-premise platforms to the evolving cloud platform, the report said. Progress's Armstrong says applications need to be developed with easy integration and access to data and data sources across multiple platforms. "Rapid development and integration are the basic requirements of today's applications," he says, "and those who treat the development of on-premise applications as separate to those hosted in a cloud environment will lose out in the long run." ISVs also need to demonstrate how they can offer an integrated approach to all their products, says Armstrong. "With a proliferation of cloud-based applications on different platforms, accessing and making sense of that data is essential," he adds. "ISVs need to have a data access and integration strategy in addition to a development strategy." Developers are now the rocks stars and many of them are leading some of the fastest-growing companies. SafeNet's Williams warns: "All ISVs should look to explore cloud, if they have not done so already. The cloud has the potential to offer true differentiation and innovation for ISVs looking to better serve the user." Among the benefits cloud provides are real-time access to information and data which, given the right tools, enables software providers to update user preferences immediately, says Williams. "With the cloud, ISVs can define service catalogue and business models, provision service agreements and control user authentication." The cloud business model is also something ISVs need to get to grips with if they are to succeed. But they face the challenge of how they are going to make money in a cloud environment, says Williams. "The advent of mobile computing via smartphones and tablets has given way to masses of mobile applications," he says. "Every day, new apps are released. However, the vast majority of download volumes are being attributed to free apps, so developers now need to start thinking about how they protect and license their solutions." Williams believes ISVs need to use software usage tracking and analytics to develop and price software in line with customers' needs. "ISVs need to know how their software is being consumed, right down to what buttons are being pushed and how often," he adds. This can help them make better investment decisions and prioritise where engineering and development resources should be targeted, based on real-life use of their products, he says, and can "also help ISVs to provide flexible and sophisticated pricing models based on a customer's use rather than user-based licensing." Williams says real-time access in the cloud will enable software providers to measure customer usage for business intelligence. "Being able to understand customer usage and adapt the service to meet their needs in real time is invaluable and enables software providers to put customer experience at the heart of development and delivery," he says. "This not only reduces customer churn, but also expands the software providers' reach to markets that were previously untapped." Armstrong says this is "an exciting time to be a developer" because ISVs can work with so many different types of organisation on so many different types of application. But ISVs are also coming under increasing pressure to develop consumer-like applications. Armstrong argues that this can present its own challenges because if they use application platform as a service (aPaaS), they can end up being locked into a specific cloud supplier. "This vendor 'lock-in' means developers are restricted in the scope of their applications, as well as the number of platforms they are able to operate on, which can be limiting commercially," he says. However, there is a benefit in being able to take an idea to market quickly "because it has platforms that will enable that idea", says Armstrong. "ISVs don't build apps for the sake of developing code; they build an app to turn an idea into reality. "In the 1990s, entrepreneurs had the ideas, but the technology did not necessarily allow the idea to become real quickly. Now, aPaaS platforms, which enable this rapid development but without vendor lock-in, will enable these new ISVs." Ian van Reenen, CTO and co-founder of CentraStage, agrees that the "ability to execute on an idea is now within the reach of almost anyone, thereby eroding the advantages previously held by the established players". But while this improves competition in the market, van Reenen says it can also lead to "the proliferation of poorly developed software in the market and increased challenges in finding and recruiting great developers". He adds: "I think we're a generation behind in educating kids as to the possibilities out there." Like Armstrong, van Reenen says it is a good era for developers, who are "no longer the back-office staff of 10 years ago". He adds: "They are the rock stars and many of them are leading some of the biggest and fastest-growing companies [in the technology industry]." Van Reenen urges ISVs to "hire the best possible developers they can afford" if they want to be well-placed to develop, sell and support the software technologies that will provide the best opportunities going forward. "They should create an environment for experimentation, learning and innovation," he says. "Always assume that someone else is trying to upstage you. Make sure that your software does what it says on the tin, and address any shortfalls as your first priority." Armstrong says ISVs should try not to be limited in the number of platforms for which they can develop, or the number of countries they cater for. "Flexibility is the watchword of the modern ISV," he says, "and the ability to meet demand from all comers in the face of technological and cultural change will be a key consideration in the coming months and years. "An application that can be deployed on any cloud platform, public or private or on-premise, will provide the best future-proofing to the investment of the ISV." Van Reenen says that, irrespective of what the promise of new platforms can deliver for ISVs going forward, it is imperative that they make sure they retain their existing customers. "In a competitive market, your existing customers are your most valuable ones," he says. "Have open and honest conversations with your users and understand how you can make a difference to their business. "In a SaaS world, you build mutual partnerships with your user base -- you're not selling them software."